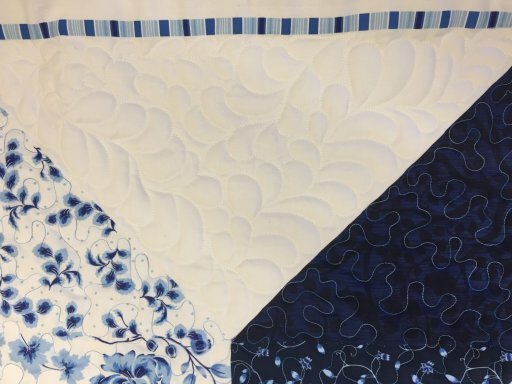 We are pleased to offer in-store longarm quilting by Stephanie Quintana. 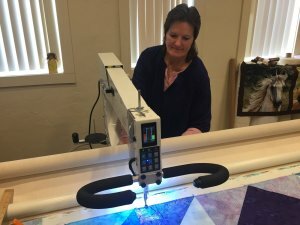 There are many pantographs available in the store, and for quilters who want a custom design, Stephanie is happy to help you create the perfect edge-to-edge design for your quilt. Come in to the store to see the designs, consult with Stephanie, and see longarm quilting in action. 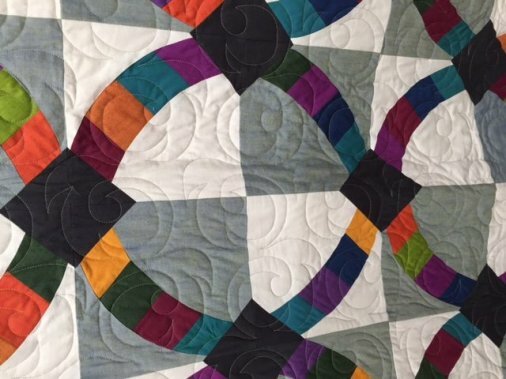 Due to our volume, and in order to complete quilts in a timely manner, we request quilt tops and backing arrive pressed and ready to go on the machine.